Sunset Park has had several new transplants arrive. 5th Avenue is looking a little greener, and the streets surrounding the park have also gotten some new neighbors. 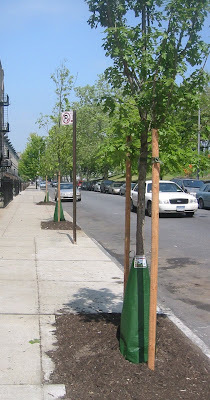 I was glad to see that the coop on 44th and 6th decided to request some street trees. They got four. Hopefully they will thrive and help beautify and help clean the air in the area.